Cane toads continue to plague the northern part of the country, and form a favourite night-time hunt for young residents, but it is important to find the best way to destroy the invasive pest. Cane toads are killed in their thousands in Australia every year, especially by community-based 'toad-busting' groups, but new research has revealed the most humane way to do it. “We need to offer a humane death to the toads – it’s not their fault they were brought to Australia 80 years ago - but until now nobody has been sure how to do it,” said Professor Rick Shine, from the University of Sydney's School of Biological Sciences. He is lead author on a study showing that a once-popular method, currently outlawed nationally and internationally by animal ethics committees as inhumane, is actually a simple and ethical way to kill a toad. The researchers implanted small data-loggers in the brains of cane toads to measure any pain responses. They then put the toads into a refrigerator for a few hours, before transferring them to a household freezer. The toads quietly slipped into unconsciousness as they froze, and their brains did not register any evidence of pain during the process. “This procedure was a widespread method for humanely killing amphibians and reptiles for many years until about 20 years ago, but animal ethics committees decided it was inhumane because the animals' toes might freeze while their brains were still warm enough to detect pain,” Dr Shine said. The research provides a simple solution to a difficult dilemma for the Australian community in areas that struggle with large populations of cane toads, such as in the Kimberley region of Western Australia, the Darwin region of the Northern Territory, and coastal Queensland. 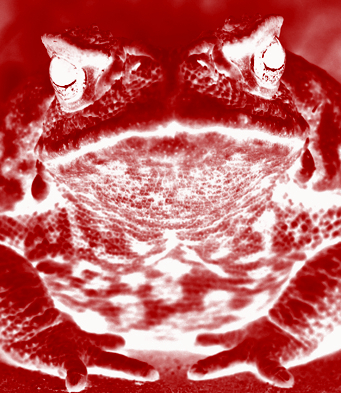 “Current ethics regulations recommend that the general public kill cane toads by hitting them on the head with a hammer - but a slight misjudgement may result in severe pain for the toad, and a splash of toxic poison up into the hammer-wielder's eyes,” Professor Shine said. A short video of Professor Shine explaining the findings can be seen below. The research by the University of Sydney, Monash University and the University of Wollongong is published in the journal Biology Open.